Each student champion can bring one parent to the MCEE Champions Dinner. Use this registration for additional guests. Use this registration type to purchase individual tickets to the MCEE Champions Dinner. Discounted guest tickets are also available with this registration type. Sponsors of the Champions Dinner will receive a table for their own use and will donate a table for use by student champions. Champions Dinner Table Sponsors will receive a table of 8 to the dinner. Seats may be used by the participating organization or gifted for use by student champions and their guests. Use this registration type to reserve your student champion and guest guest tickets for the MCEE Champions Dinner. Each student champion is allowed one complimentary guest ticket. 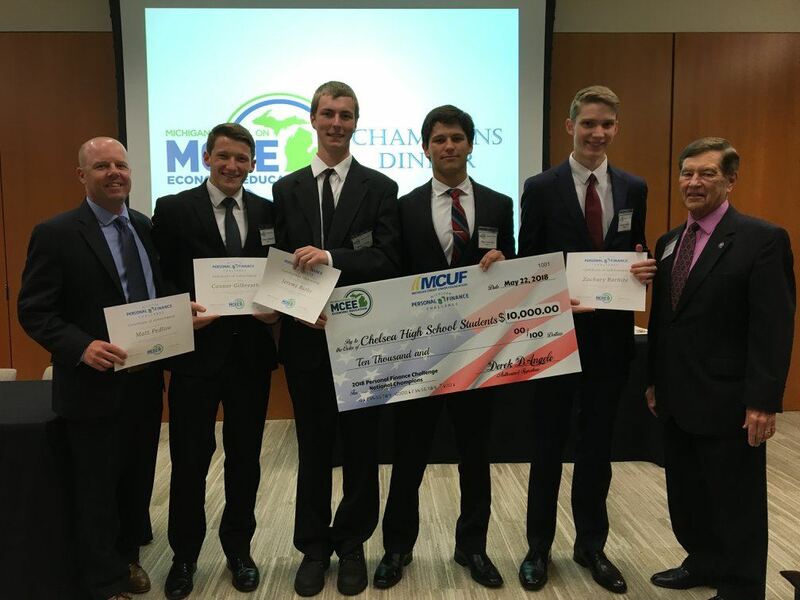 An evening to celebrate the economic education achievements of Michigan teachers and students who have excelled in the classroom and those individuals and organizations whose efforts have expanded the role of MCEE and economic education throughout the state.